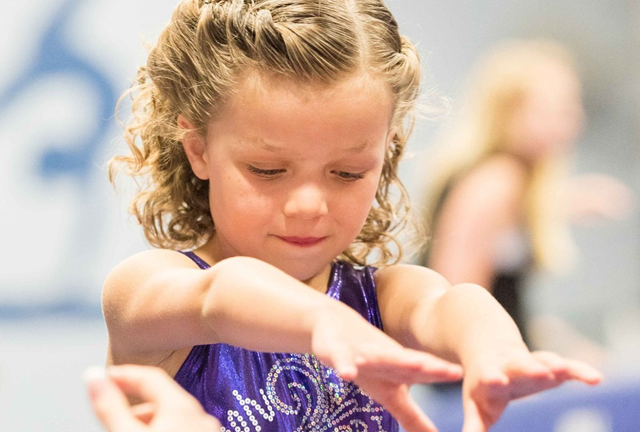 Although this tumbling program is geared around tumbling for Cheerleading, any child who wants to learn to tumble can join. Students learn proper technique and progression of tumbling skills they need to execute for their high school, junior high, elementary, recreational and all-star Cheerleading teams. Pioneer is proud to be the “go to” facility for many of our local recreational and school Cheerleading teams. 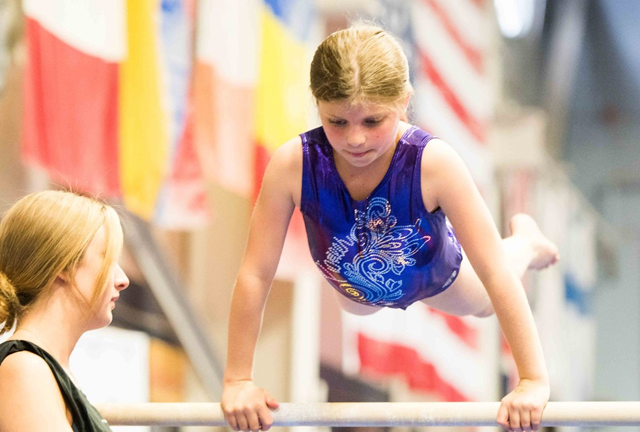 We offer tumbling classes for every skill level. 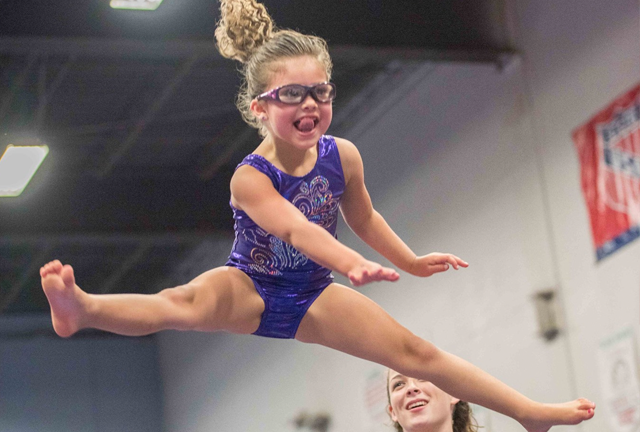 There is no better activity than tumbling/trampoline to train spatial awareness, a critical skill in all sports. Additionally, spatial awareness is considered one of the eight intelligence’s and has been linked to enhanced cognitive development. Stunts, dances and jumps make for a good routine. Advanced tumbling makes for a GREAT routine. 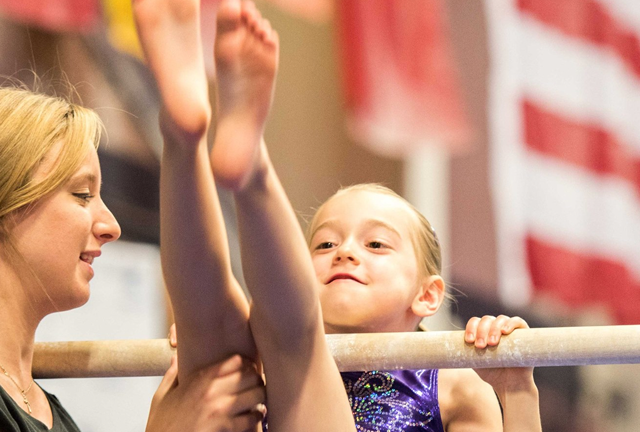 Help your team by building your tumbling skills. 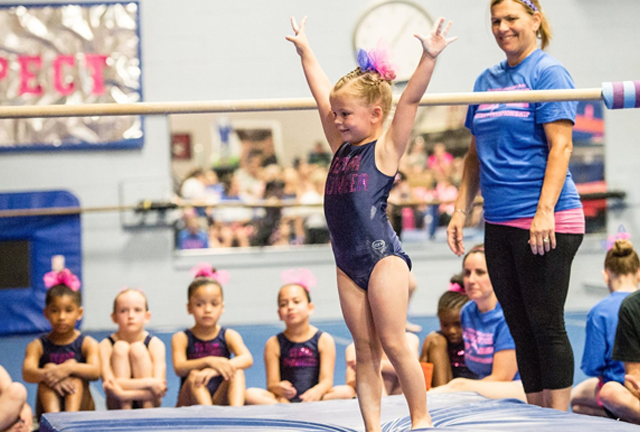 A 30’ Tumbl Trak, an Olympic spring floor, Barrels, Wedge mats, Back handspring boulders and Foam pit all help teach the beginner to the advanced tumbler. Find the day and time that works best for your family. Click on Register to secure your spot today! The cost listed is the monthly cost for 1 class per week. Danielle is the Tumbling Program Leader as well as a competitive head coach. 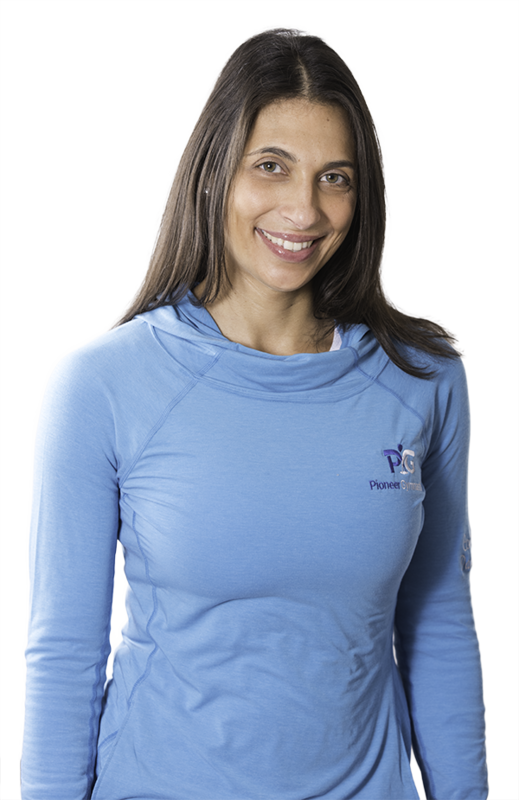 Danielle designs and develops the progressive curriculum for the Program. All skills taught in this program lead up to skills next level tumbling skills. Foundational Skills are expected to be mastered before throwing bigger skills! Can we try a class before registering? Yes. If you have a second child enrolled at the same time, the second child will receive 10% off monthly tuition. A 15% discount will be applied to every child after the 2nd. Please note: discounts are applied to the lowest tuition. What is the makeup policy if we miss a class? Tuition is only pro-rated by half if you start after the 15th of the month. If you register on the 15th or later, the tuition will not be reflected when you first register, this will be done manually by our office staff. If we register now when do we start? Once you register, your child can start right away at the next regularly scheduled class meeting. If you are unable to attend immediately, please contact our office.